Tea is an aromatic beverage commonly prepared by pouring hot or boiling water over cured leaves of the Camellia sinensis, an evergreen shrub native to Asia. After water, it is the most widely consumed drink in the world. Tea originated in the southwest of China, possibly as a medicinal drink. Let’s see amazing health benefits of tea here on this page. The most common are white, green, oolong, and black. Let’s see amazing health benefits of tea. Green tea is full of antioxidants called catechins; a subgroup known as EGCG may ward off everything from cancer to heart disease. Most green teas should be allowed two or three minutes, although other types may vary between thirty seconds and ten minutes. Health benefits: White tea is another health multitasker. It offers the same potential cardiovascular and cancer-fighting benefits as other teas. Health benefits: Flavored teas have the same levels of antioxidants and the same health benefits as unflavored ones. Those flavored with super fruits, such as blueberries may contain even more antioxidants. Herbal Tea Health benefits: There has been less research on traditional teas, but one study published in the Journal of Nutrition found that drinking three cups of hibiscus tea daily could help lower blood pressure in people with hypertension. Green tea consumption has no meaningful effect in aiding weight loss. 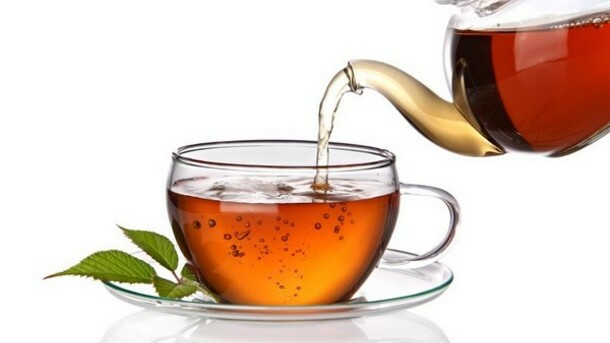 It has been suggested that green and black tea may protect against cancer. Drinking Tea may reduce your risk of heart attack and stroke. Unwanted blood clots formed from cholesterol and blood platelets cause heart attack and stroke. It bolsters your immune defenses. Drinking tea may help your body’s immune system fight off infection. It protects against cancer. Thank the polyphenols, the antioxidants found in tea, once again for their cancer-fighting effects. It helps keep you hydrated. Tea is calorie-free. Tea doesn’t have any calories unless you add sweetener or milk. It increases your metabolism. Lots of people complain about a slow metabolic rate and their inability to lose weight. Green tea consumption may reduce the risk of breast and prostate cancer. Tea drinking accounts for a high proportion of aluminum in the human diet. There are plenty of Aluminum, iron and other metals in it. They contain oxalate, over consumption of which can cause kidney stones, as well as binding with free calcium in the body. The bio-availability of oxalate from tea is low, thus a possible negative effect requires a large intake of tea.